BORNS returned to Summerfest Friday night, headlining the Miller Lite Oasis. Published July 7, 2018 at 2:26 a.m.
A lot of time has passed since Garrett Borns performed at Summerfest in 2012. 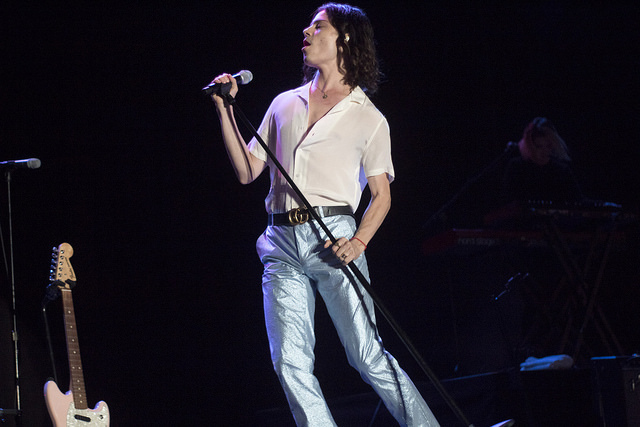 With a new moniker and a much larger following, all eyes were on BØRNS Friday night as the singer returned to Milwaukee to hit the big stage – the Miller Lite Oasis – on his latest go-around. 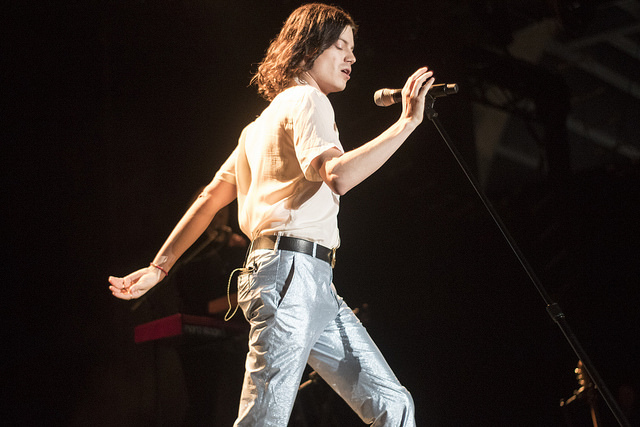 In many ways, BØRNS represents the things that make the world's largest music festival so great – and considering the huge crowd that showed up to his headlining performance, there are thousands that agree. Let us tell you why. Summerfest has showcased up-and-coming artists with its Emerging Artist Series since 2006. Boasting names like Maren Morris, Walk The Moon, X Ambassadors and more, some of your favorite artists were performing on the Emerging Artist stage well before they became household names in their respective genres. In 2012, one such artist was Garrett Borns, who would later go on to change his stage name to BØRNS and win fans over with singles like "Electric Love" and "Sweet Dreams." While we aren't sure how many fans caught his set six years ago, we are certain that Garrett Borns' fan base has increased exponentially since his first Summerfest appearance. Let's hope some of those fans from day one were able to enjoy his memorable performance on Friday night. 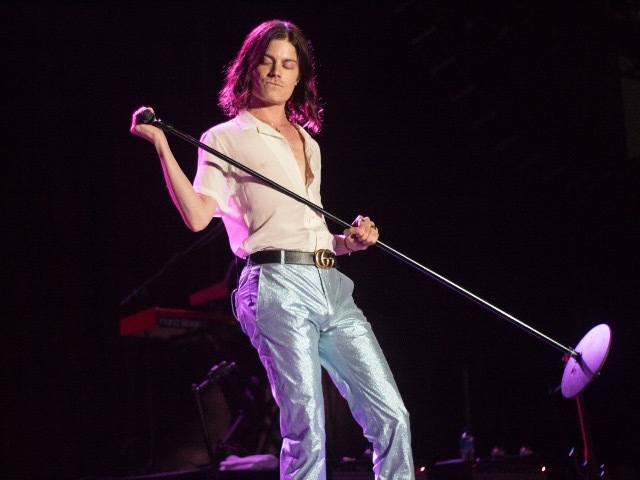 To no one's surprise, BØRNS has returned to Milwaukee since his first time at Summerfest, including a headlining set at the Riverside Theater this past January. 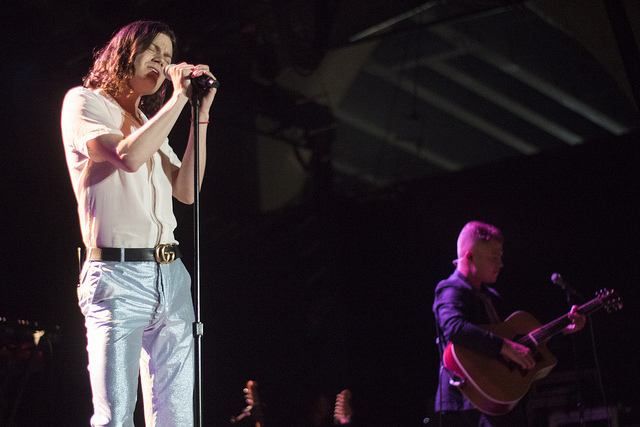 Although fans at the Riverside enjoyed a great night this past January when BØRNS last hit Milwaukee, live music is just better outdoors – and BØRNS' set is no exception. It's not the acoustics or the cheap price of admission; it's an unexplainable difference in the vibes that a music festival offers and the way the sound hits your eardrum. BØRNS' performance alone hasn't changed much since January, but with the lakeside breeze and low humidity keeping fans cool as they danced to "Blue Madonna," and with I-794 serving as a backdrop to the Miller Lite Oasis, something about last night made it that much better. Likened to the differences in taste between a beer in a can versus a beer in a glass bottle, the differences of live music can't be described by logic and science alone. It's just different! Just 90 miles of Lake Michigan and a ferry ticket separate Milwaukee from BØRNS' hometown of Muskegon, Michigan. And although artists travel from all over the world to perform at Summerfest, BØRNS is one of the many artists with Midwestern roots to perform at the Milwaukee festival. Although his move to Los Angeles helped Borns transform into the artist he is today, it's always great to see a (relatively) local artist at Summerfest have success on a national and global scale. If you take a look at any day's lineup, you'll instantly notice that Summerfest prides itself on its diversity of performers. Friday's lineup was yet another potpourri of artists across a number of different genres. Last night, fans caught performances from R&B singer Janelle Monae, alternative rockers The Flaming Lips, country superstar Blake Shelton and, of course, indie pop singer BØRNS, with no two sets sounding the same. BØRNS was just one of many cogs in the wheel on Friday that helped make the diverse music festival operate. One thing that's great about Summerfest, and music festivals in general, is the opportunity it gives to fans to catch performances that they otherwise wouldn't see. Year after year, fans leave Summerfest with a new list of artists to add to their iTunes. 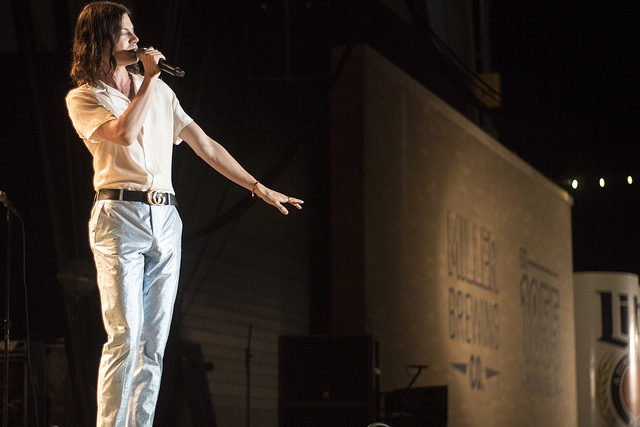 Located smack dab in the middle of the festival, BØRNS had prime real estate at the Miller Lite Oasis. The "Dopamine" singer drew the attention of many with his soothing and melodic vocals, forcing hundreds of fans to make a pit stop at the Oasis to join BØRNS' most loyal fans. With his diehard fans at the front – who received high fives from the singer as he dropped into the photo pit – and his new fans in the back, BØRNS had one of the largest crowds of the entire night, rewarding those who stayed until the end with his addictive single "Electric Love." Although the larger stages within the confines of Summerfest are limited, you can only expect BØRNS to continue to grow as he has since his first visit in 2012. While his current album hasn't yielded a single quite as popular as 2014's "Electric Love," last night's crowd was evidence of the singer's momentum.